HARRIS COUNTY, TX (KTRK) -- This morning, Harris County officials selected a permanent replacement for the late El Franco Lee, who passed away earlier this year. Rodney Ellis is now the permanent Harris County Precinct 1 commissioner. Gene Locke had been filling the role temporarily. Ellis beat out Locke for the job with a 78-36 vote. El Franco Lee died of a heart attack in January at the age of 66. Ellis has a long history of public service. He was elected to the Texas Senate in 1990. 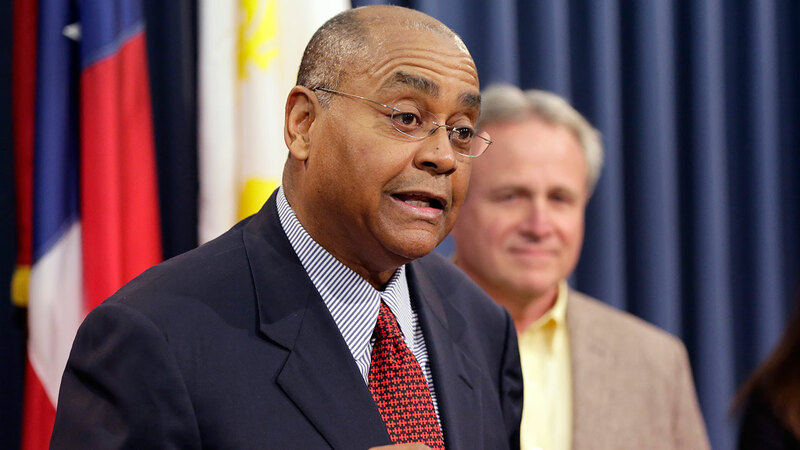 Before his time as a state lawmaker, Ellis served three terms on the Houston city council, and was chief of staff to the late U.S. Congressman Mickey Leland. He earned a bachelor's degree from TSU and a masters from the Lyndon B. Johnson School of Public Affairs.